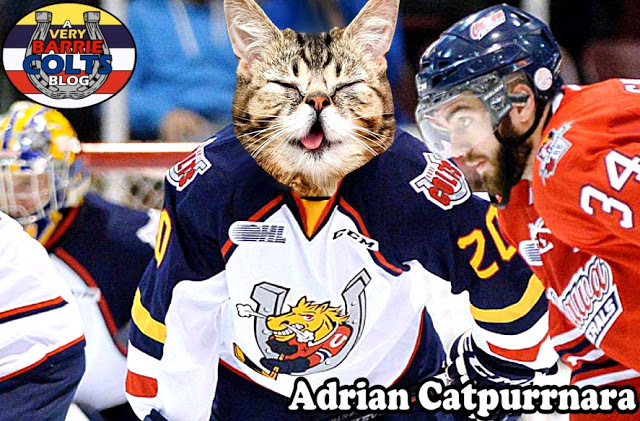 Trade Alert: Barrie Colts send Adrian Carbonara to London Knights. 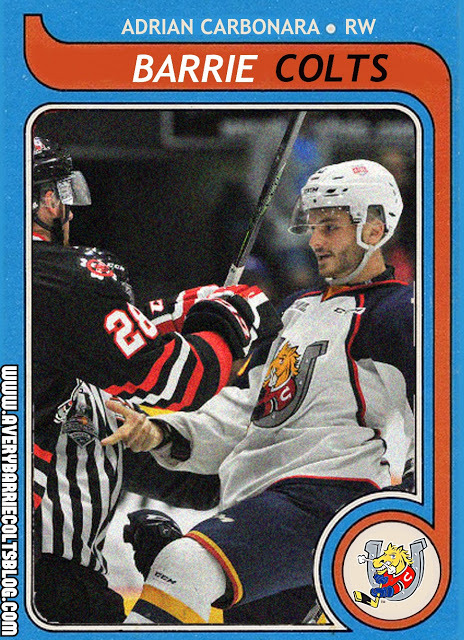 #OHL - Very Barrie Colts | A website covering the Barrie Colts of the OHL. The Barrie Colts and London Knights have completed a trade that has Adrian Carbonara and a 3rd round pick (conditional) at the 2017 OHL priority selection draft in exchange for London's 2nd round pick at the 2020 OHL priority selection draft. When we learn about the condition, we will be sure to update. The @GoLondonKnights acquire gritty Adrian Carbonara from Barrie plus Windsor 3rd round pick '17 (conditional) for 2nd rd. pick in '20. Carbonara was in his 3rd season with the Colts. In 110 OHL regular season game, Adrian 15 goals and 10 assists. He has also totaled 157 PIM in that time. In the post season he saw 22 games where he put up 1 goal. The Colts will miss his aggressive game and occasional goal. Many also believed that his cat head image was one of the best of our collection. We would like to wish Carbs (but not London) the best of luck!